As Desert Psychlist has stated in the past one of the best things about this whole reviewing lark is when something suddenly comes out of the ether, seemingly from nowhere, and blows you right out of your socks. 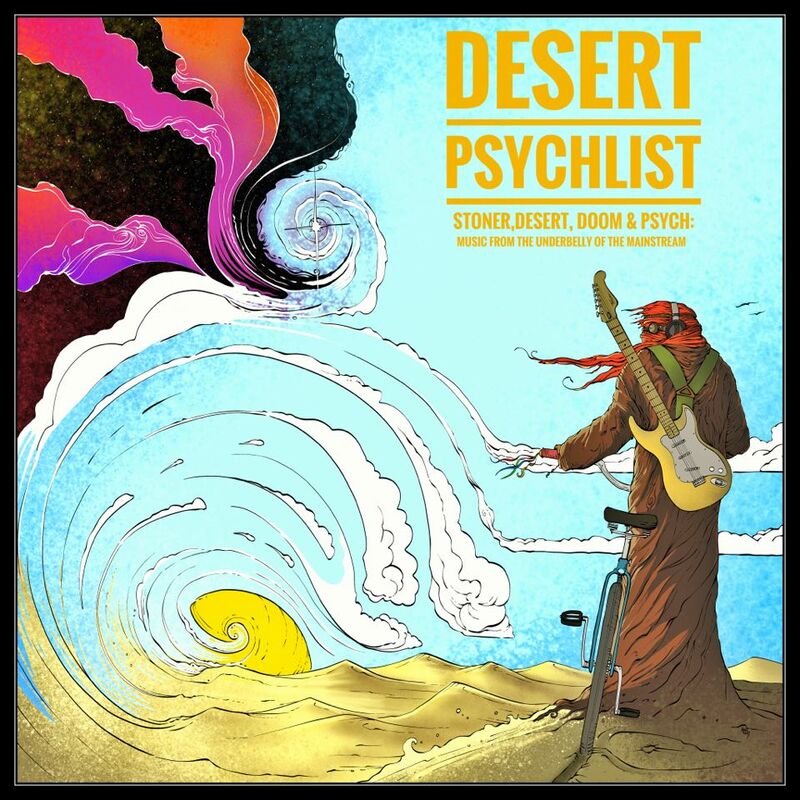 This is how it felt today when, while perusing the latest releases on Bandcamp's "Heavy Psych" pages, Desert Psychlist came across an interesting piece of artwork and decided to delve a little deeper, what we discovered was a little gem of swirling heavy psych from a band called Hypermortal. Hypermortal, Travis Baker (drums and percussion), Daniel Glascock (bass, vocals, sitar, synthesizers) and Samuel Piper (guitar), hail from Lawrence, Kansas and have just released one of the most interesting and exhilarating "psych" releases of this rapidly dwindling year with "The Motive Power of Fire"
"The Motive Power of Fire" begins in mystic eastern style with "Lapis Lazuli" a sprawling ten minute opus full of swooping, swishing synthesesiser that swirls dervish-like around an insistant vocal mantra, the band taking off on a hundred and one different tangents, incorporating as they do so a heady mix of gentle tinkling percussion and dissonant guitar colouring. "Entropy" follows, a song with a strong Spirit vibe that would of had the late Randy California grinning like a loon in admiration. "Microchip" is up next its stuttering bass heavy groove is complimented by smooth slightly echoed vocals and an array of superbly executed guitar solo's. 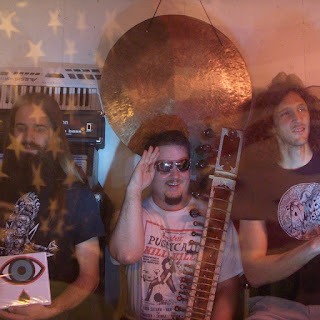 "Gulf of Pestilance" ramps up the bands psych quotient with an instrumental that although tethered by Baker and Glascock's solid underlying bass and drum groove really reaches for the stars in the guitar department with Piper.at times sounding like he's discovered a whole new music scale. The band change tac a little for next track "Space and Time", initially diving into a bluesy psych groove decorated with an ultra cool vocal melody then closing out with a spacey psych jam. "The Void" rounds up "The Motive Power of Fire" and finds the band hitting into a gritty, jerky and addictive spluttering groove that at only two minutes thirty five seconds finishes far too soon. 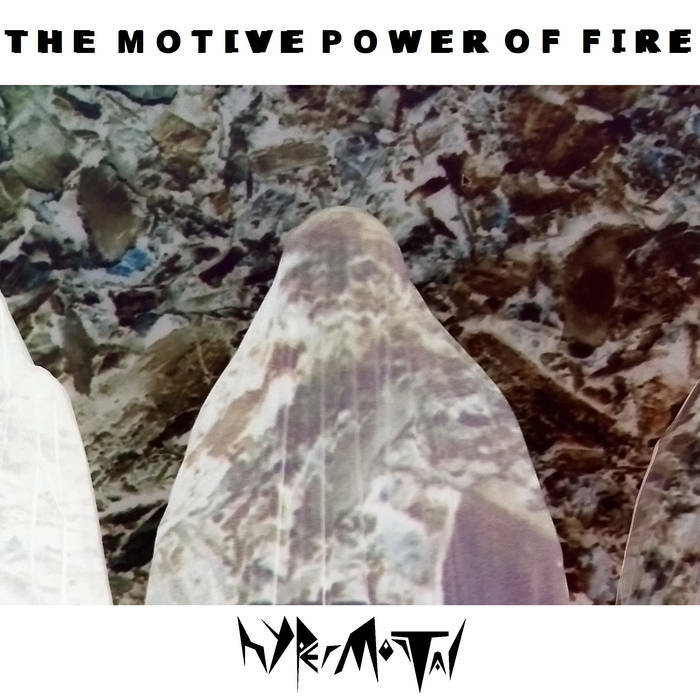 Hypermortal's "The Motive Power of Fire" takes the 60's psychedelic experimentations of bands like the The Byrds, Spirit and Quicksilver Messenger Service and blend them with the gritty, heavier dynamics of more modern psych bands like Seven That Spells and Druid, creating a sound and groove that is both lysergic and fluid yet at the same time solid and heavy.